This month’s Ontario Concrete Awards, presented in part by the Ready Mixed Concrete Association of Ontario (RMCAO), honoured projects featuring the prominent material. Wayne Watson, FCSC, FCSI, RSW, passed away on January 27, 2019, at the age of 79. Watson joined Specifications Writers Association of Canada (SWAC), the predecessor to CSC, in 1966. 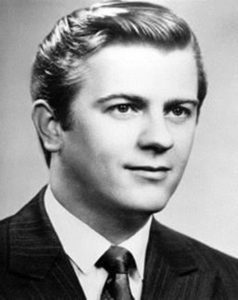 He served as president from 1972 to 1973. In 1972, he received the Registered Specification Writers (RSW) designation. Watson was inducted into the CSC College of Fellows in 1976, and in 1992 he was inducted into the CSI College of Fellows, making him the first person to have dual fellowship. In 2005, he received the CSC Life Membership Award. He was the recipient of several other awards including the President’s Award, Chapter Award of Merit, National Award of Merit, and Program Directors Awards. Watson began to pursue a career as a specifier in the 1960s, when no school offered formal training in the field. Years later, he took a leading role in developing a curriculum to teach specification writing in Alberta. He went from freelance specification writing in Edmonton in 1971 to developing numerous master specification systems. He was one of the first to use electronic word processing for specification writing and to commit organized master specifications to the equipment so he could produce specifications more efficiently. In 1998, CSC’s representative, Watson, was elected president of the International Construction Information Society (ICIS). Watson’s contributions, not only to CSC but to the Canadian and international construction industry, are endless. He was a firm believer in education, sharing of knowledge, and any action working toward the betterment of the construction industry. He wrote, co-authored, or contributed in the creation of several CSC documents. It is very difficult to capture all the contributions and accomplishments of Watson, but the above touches on some of the ways CSC benefited from his commitment and efforts. The CSC Membership, the Board of Directors, the College of Fellows, Association staff, and CSC President Paul Gerber give their sincerest condolences to the family and friends of Watson.